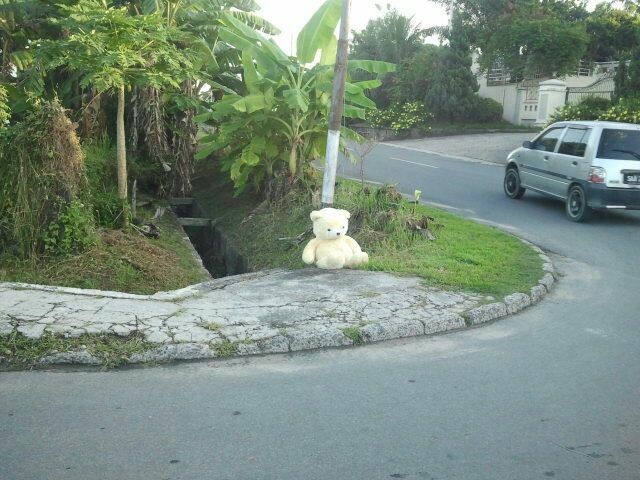 My better half spotted a plush toy bear being left by the road side on the way home after fetching our girls from school a few weeks ago. We are still puzzling with who and why. Who left the bear there ? and why it's being left there ? Is it meant for adoption ? or is there something fishy behind it ? 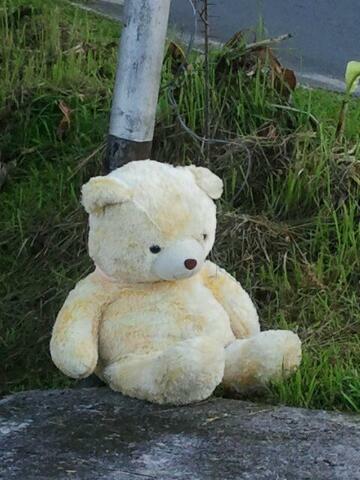 It is a nice and sizeable plush toy bear sitting very lonely by the road side. No notes can be sighted. 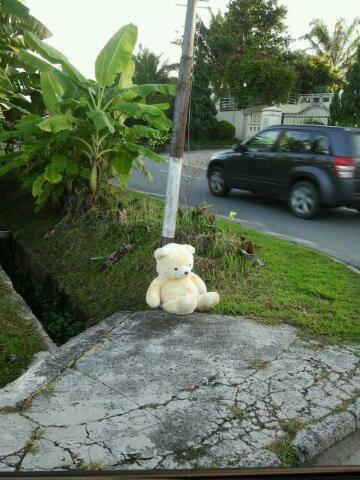 It was placed at the junction, can be easily spotted by the passerby. Not sure what happened after that. Remains a mystery to us. 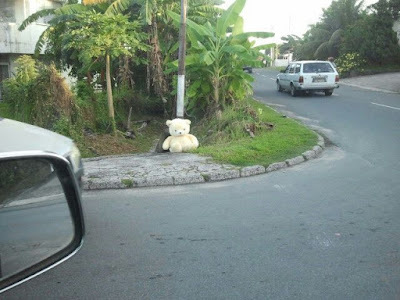 Will you pick up the toy bear in a situation like this ?? No. I wouldnt pick it up no matter what. Must be reason to left it there. It was placed strategically and well in front of the post at rlthat junxction. So plush, pretty bear. I am also curious on who and why. I wouldn't dare go near the soft toy! 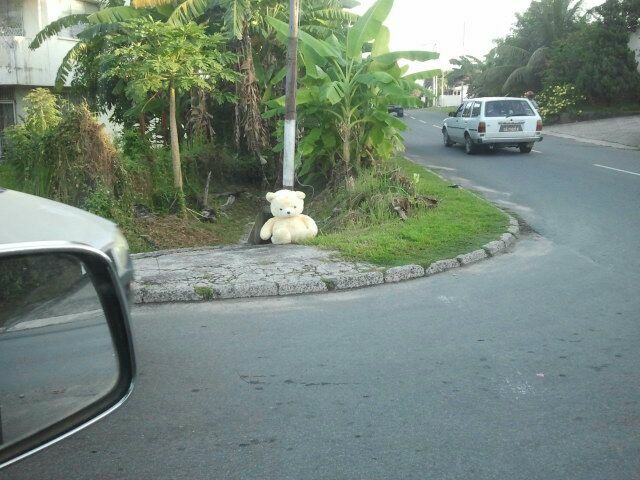 It's too suspicious for a soft toy to be placed there. There could be a bomb inside the toy planted by suicide bombers, I kid you not! Is it still there ? To add to the comments... no won't pick up. Heh.